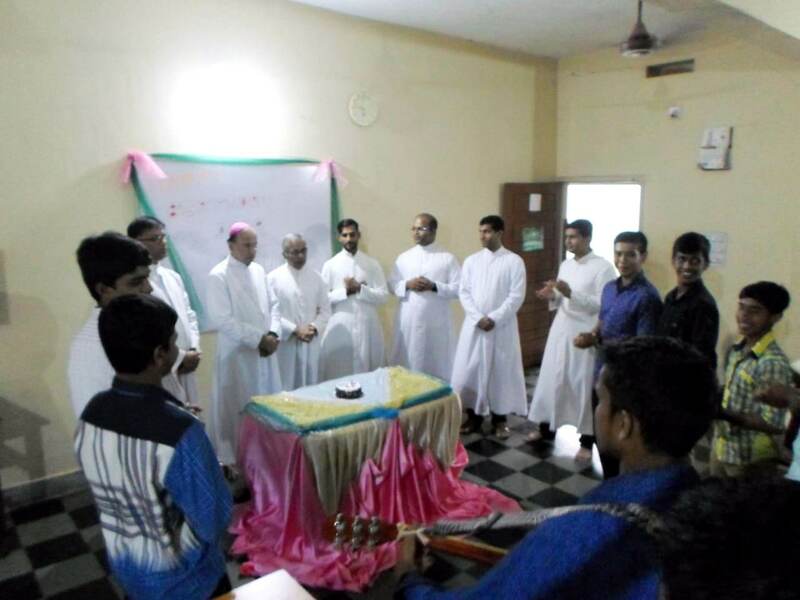 Bishop Gerald Isaac Lobo, Bishop of Udupi diocese paid a short visit to Don Bosco Youth Centre Shirva on November 12, 2018. He was welcomed by the youth and the Salesian community of Shirva. He was on his official visit to the Our Lady of Health Church, Shirva. Fr Leandro Gracias, Rector, led everyone into prayer in the Salesian chapel. Bishop spoke to the boys and gave his blessings.